Copyright is a property right that comes into existence automatically in respect of original qualifying works, and it applies to a wide range of items including toilet pan connectors, kiwifruit trays, clothing, and musical scores, with original literary and musical works being expressly listed as such qualifying works (Copyright Act 1994, section 14). Copyright is owned (with a small number of exceptions) by the creator or author of the work, or by anyone who has paid or agreed to pay for a commissioned work, and copyright ownership can be transferred and use of copyright work can be the subject of licences. The discussion that follows summarises the implications for musicians of most of these issues as well as infringement of copyright. To authorise another person to do any of the acts referred to in (a) to (h) above. Copyright does not exist indefinitely. Copyright only attaches to literary and musical works until 50 years from the end of the calendar year in which the author dies. If there is more than one author (such as composer of a musical score and the author of the lyrics), the 50 years begins at the end of the calendar year in which the final remaining person dies. Around the date the initial copyright will expire music publishers commonly publish a fresh edition of the original work edited sufficiently for fresh rights to attach to the new edition, perpetuating the publisher’s copyright until 50 years from the end of the calendar year in which the author (i.e., in this case, the editor) dies. Where the author is unknown, copyright expires 50 years after the end of the calendar year in which the work was first performed or communicated to the public. After that statutory period has expired copyright no longer exists, and therefore cannot be infringed, unless the term of copyright has been extended by the production of an edited edition (common with musical works). Copyright is infringed when a person other than the copyright holder (and without the authorisation of the copyright holder) copies the copyright work, sells it, performs, plays, shows, or communicates it in public, or adapts it, whether in whole or in part. It is also an infringement of copyright for a person to deal in or provide the means for making infringing copies of a copyright work, to supply apparatus used in the course of any infringement, or to permit premises to be used for infringing performances. In respect of music which is subject to copyright protection, any vocal or instrumental tutor, choir, orchestra or competition society that provides photocopies of music (whether it makes the copies of acquires them in some other way) to students, members, soloists, tutors, accompanists or conductors (or any other person) to use in classes, rehearsals, or performances acts in breach of copyright. An organisation which or individual who permits pupils or performers to use a photocopy of music which is still subject to copyright protection is a party to infringement of copyright. What could this mean for copyright infringers? 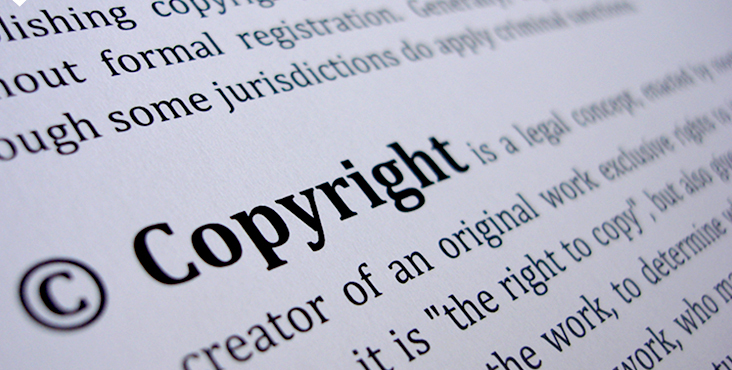 That there is a causal connection between the copyright work and the infringing work, in that the copyright work is the source from which the infringing work is derived. It will usually be obvious that copyright has been breached when music is photocopied, distributed and then used or performed. A $20,000 award was made in Facton Ltd v Yuan . Criminal liability is also a possibility, and for each copy of the infringing object produced, a maximum fine of $10,000 applies (to a limit of $150,000), and the offender may be sentenced to a maximum of five years’ imprisonment. It is also an offence under section 131(3), Copyright Act 1994 to “cause a literary, dramatic, or musical work to be performed, where that performance infringes copyright in that work.” Any person convicted under this section is liable to a fine not exceeding $150,000 or to 5 years’ imprisonment. How can users of copyright works avoid breaching the Copyright Act? Obtain publishers’ permission prior to photocopying any music. See Licence Types for general information and for performances at community based functions where there is no admission fee charged see Community Band, Choir or Performance Group. Some organisations have licence (such as choir members of the New Zealand Choral Federation – see Licence) which may have an annual licence to perform of copyright music in public (noting that the NZCF licence does not cover photocopying of music). How can someone obtain a casual licence? Application should be made to APRA for a licence prior to each event for which there is an admission charge. Licence fees are calculated as a percentage of gross revenue, meaning payment is not made until after the event. It is necessary to ensure performers complete a list of the works they perform, and that this list is forwarded to APRA. A request for a licence from APRA may be made here. How can someone obtain publishers’ permission to photocopy music? Copyright Licensing New Zealand (see Copyright) may be able to provide a licence to copy and perform – see Licences and Permission. Photocopy 3% of a literary or musical work multiple times so long as students are not paying for copies, and no part of that work is photocopied again for 14 days. (f) Any body, or class of body, that is not conducted for profit and that is approved by the Minister of Education as an educational establishment for the purposes of this Act by a notice published in the Gazette…. Some music is available, especially through the internet, which is no longer subject to copyright protection. Such music can be used and copied without restriction. However, if someone edits such copyright-free music and that editorial notation is derived from a copyright work there would be a causal connection between the copyright work and the edited version, in that the copyright work is the source from which the edited version (an infringing work) is derived – as explained above. Section 12, “Meaning of “infringing copy.” An object is an infringing copy if its making constitutes an infringement of the copyright work in question. There is no indication that the continued existence or use of that copy constitutes infringement. Section 16, “Acts restricted by copyright.” Restricted acts involve copying, adapting or otherwise dealing with a copyright work in a public manner. Again, there is no indication that the continued existence or use of material obtained legitimately is infringement of the Act. Sections 29-34, which deal with primary infringement of copyright. Infringement occurs when a person does a restricted act as outlined in section 16. Again, there is no indication that the continued existence or use of material obtained legitimately is infringement of the Act. an object that is, and that the person knows or has reason to believe is, and infringing copy of the work. Again, there is no indication that the continued existence or use of material obtained legitimately is an infringement under the Act. The Copyright Act is concerned more with the unlawful copying of works rather than with the use to which legitimate copies are later put. This is a technical area of the law, and this brief article is intended as an introduction to copyright for musicians only. The article cannot adequately cover all the implications of copyright for musicians, and, in addition, the law changes from time to time and this summary reflects the law in September 2018. Where specific questions arise advice specific to that issue should be obtained. High Court, Auckland, CIV-2005-404-1239, 6 September 2006. High Court, Auckland, CIV-2009-404-4305, 18 September 2009.